Add extra spice and flavour to your food items, with our Dried Red Chili. 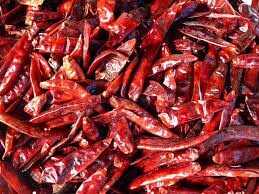 We are counted among the reliable Suppliers and Exporters of Dried Red Chili from Thailand. The Dried Red Chili we make available is dried and processed in neat and hygienic conditions using advanced techniques. To cater bulk and urgent requirements of buyers, we maintain a large stock of the Red Chili under optimum storage conditions.